Balls are a common litter item on the Guernsey sea shore. Dog walkers lose balls thrown for dogs. The pebble beach at Pleinmont is a hotspot for lost golf balls. Footballs can float across the ocean before arriving on the Guernsey sea shore, or they can be from a local source. 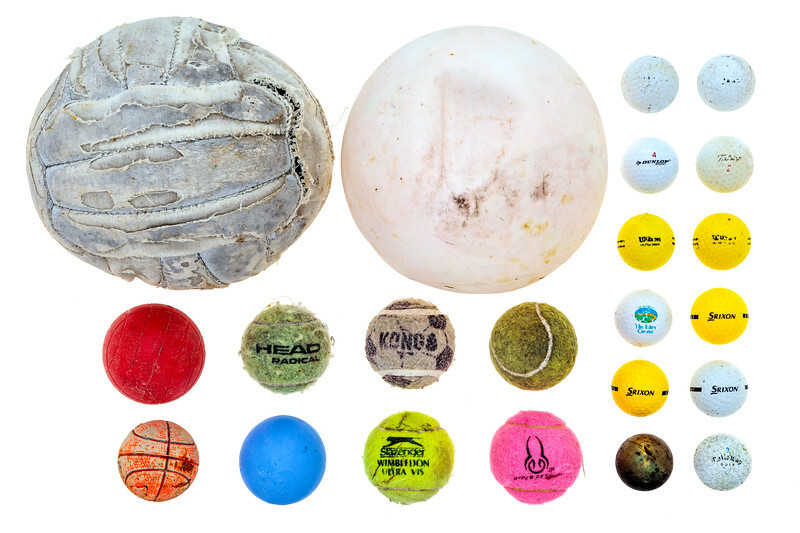 These balls were found in the first few months of 2018.